The Church Rituals Handbook provides pastors with a meaningful tool for the services they perform as shepherds of the flock of God. 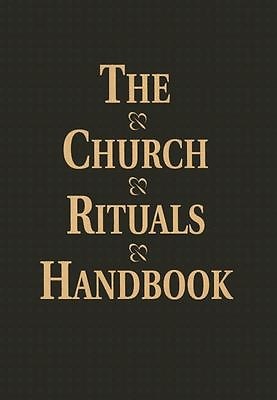 Covering a wide array of services, The Church Rituals Handbook includes instructions, an order of service, suggested hymns and Scripture readings, and recitations for the Sacrament of the Lords Supper, the Reception of Church Members, the Sacrament of Baptism, Marriage, Calls to Worship, Offertories Ideas and Prayers, and others. Some less common rituals included in this manual are John Wesley Covenant Service, A Service of Healing, A Service of Reconciliation, and Seasonal Services including Advent, Easter and Christmas.